Day 10 of the walk. 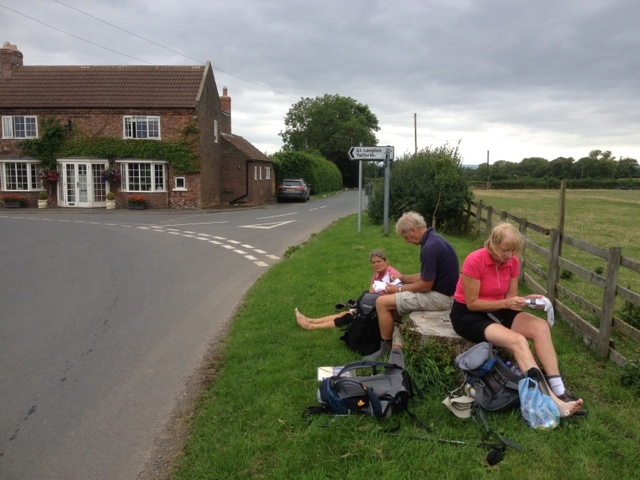 Richmond to Ingleby Cross. 22.7 miles of Mostly flat and uneventful walking. Weather was good for most of the day - cloudy but warm - and the forecasted rain only arrived late afternoon. Very welcome foot spa in the B&B. 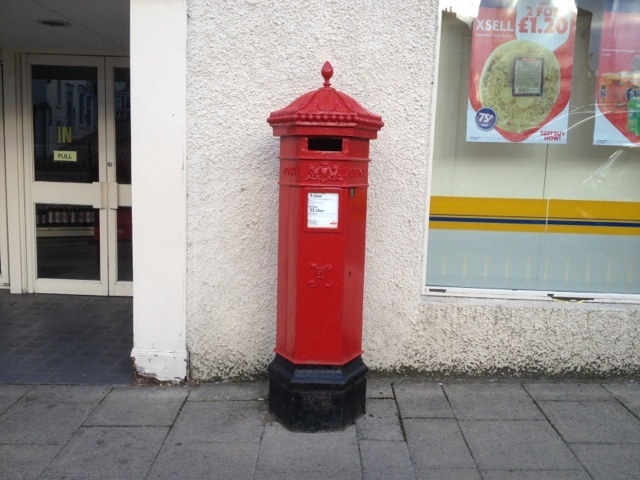 Richmond has one on the few surviving Victorian hexagonal pillar boxes. 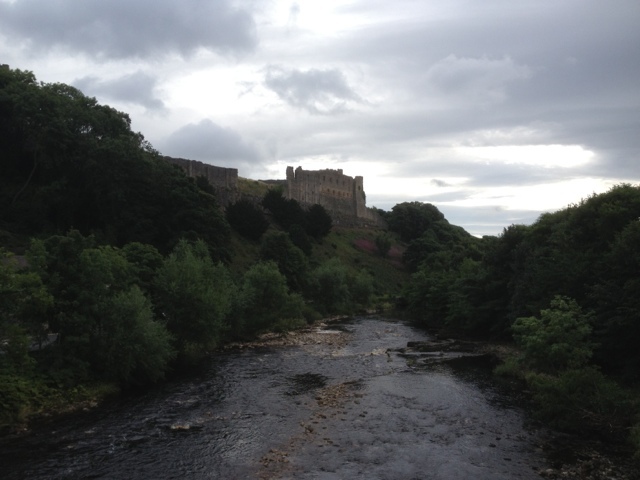 View back towards Richmond Castle as we set off over the bridge. We have seen many unusual signs on our travels but these two caught my eye. This passed the spell checker but not the sense checker. 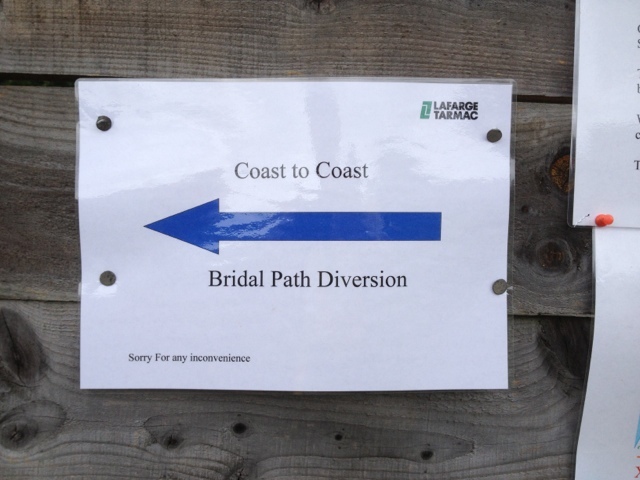 We had visions of white wedding-dressed women struggling along the path. 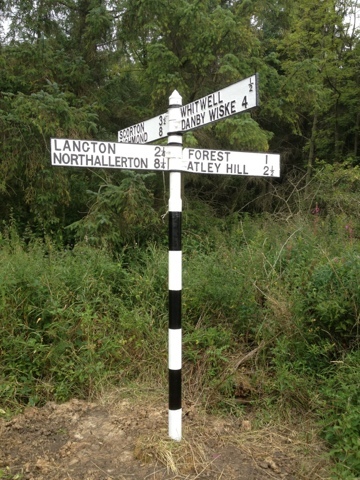 This next was just a lovely example of a traditional finger post. Lunch was on an old tree stump at a road junction, shame we didn't spot the bench hidden behind a nearby parked car. 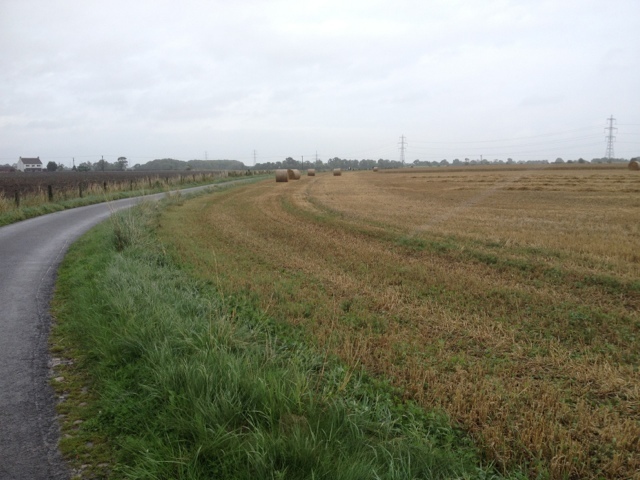 Most of the walk was the agricultural equivalent of Groundhog Day. Then the rain really set in as forecast for the last two hours. We were all pretty soggy by the time we arrived at the Elstavale B&B. Supper at the only pub in the village - The Blue Bell.